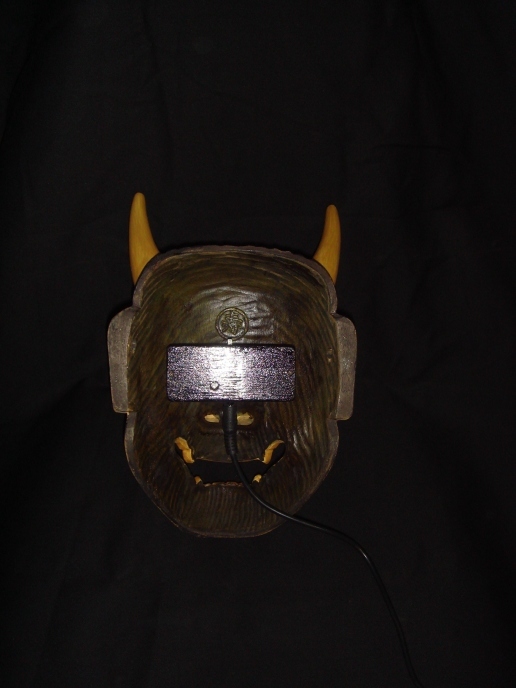 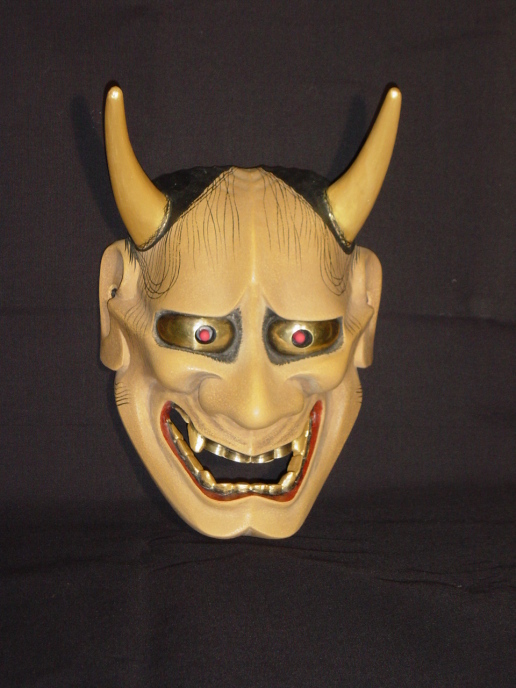 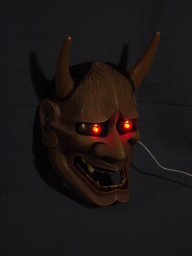 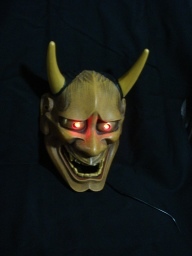 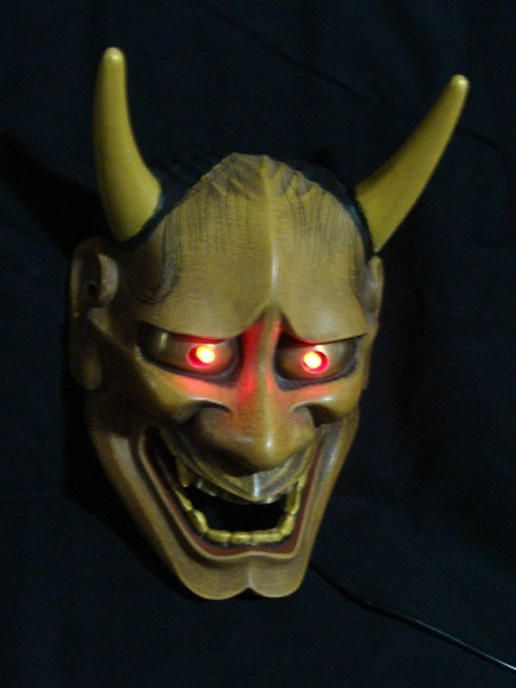 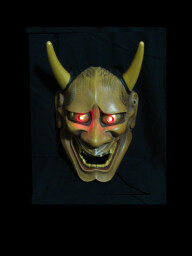 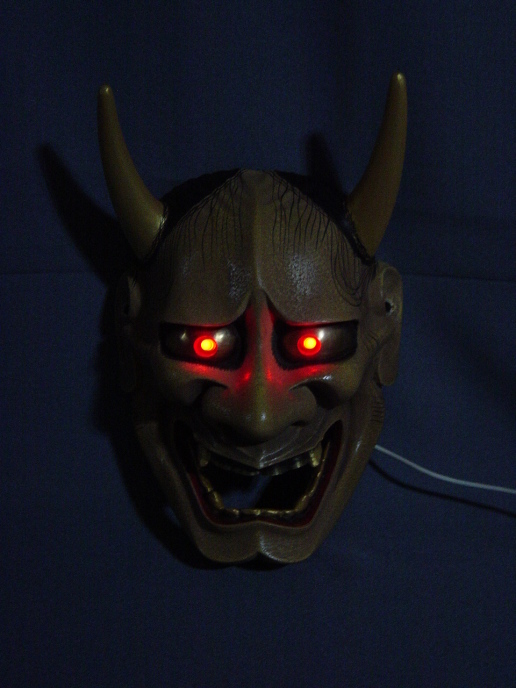 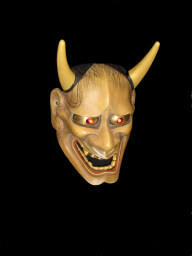 We create Red LED blinking eyes Hannya. You can use this as lucky charm for your house. 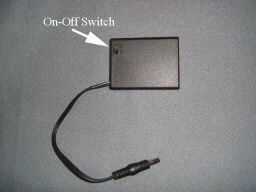 Also you can keep lighting by switching. 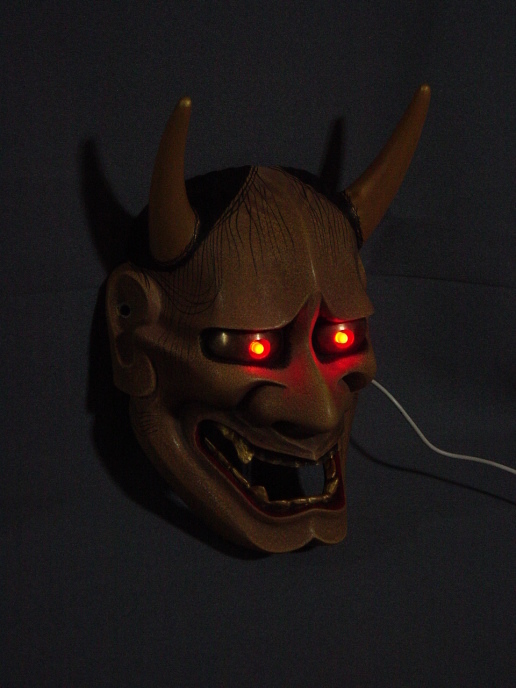 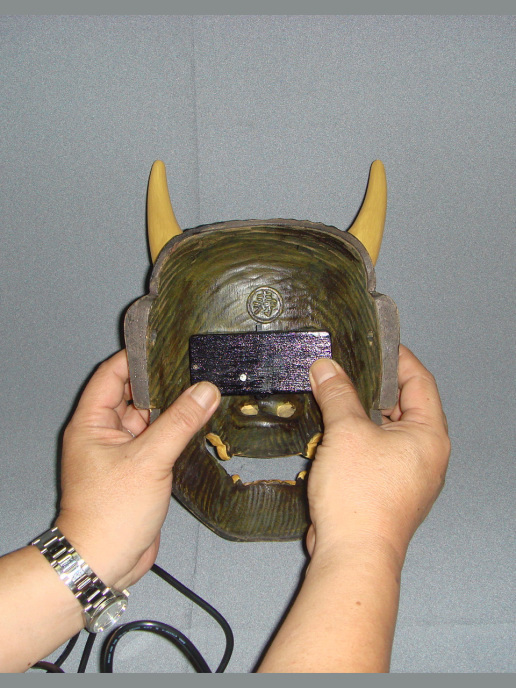 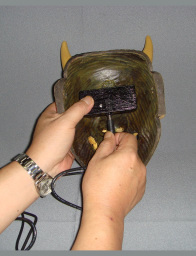 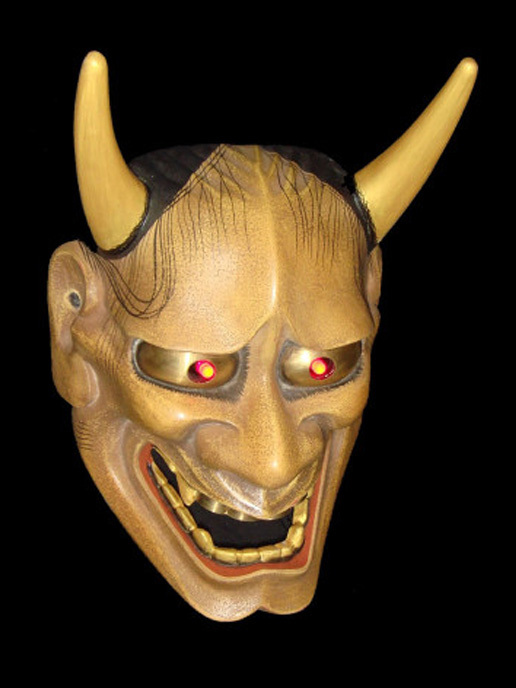 If you remove the blinking device, it can be just Noh mask Hannya. 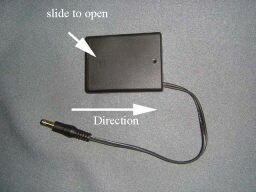 Click the image for more enlargement. 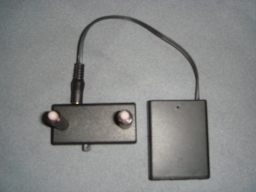 LED Off LED On LED On in the dark. 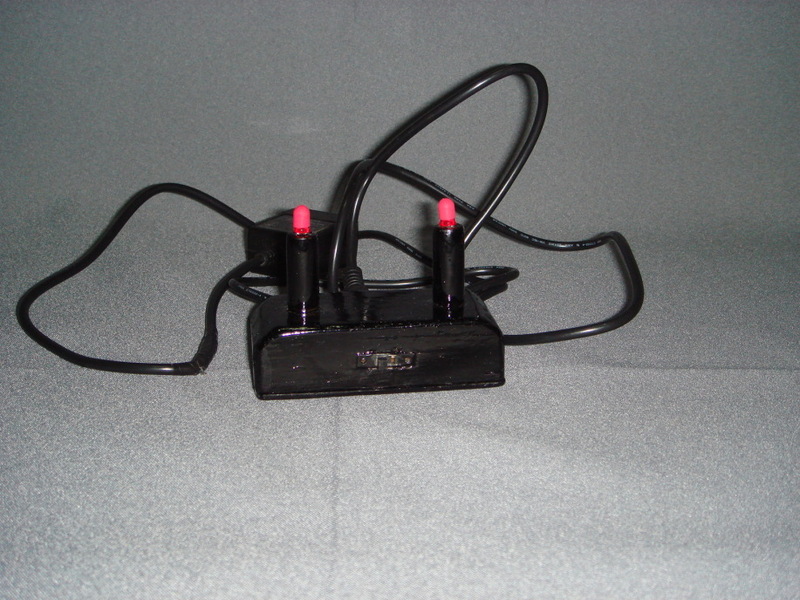 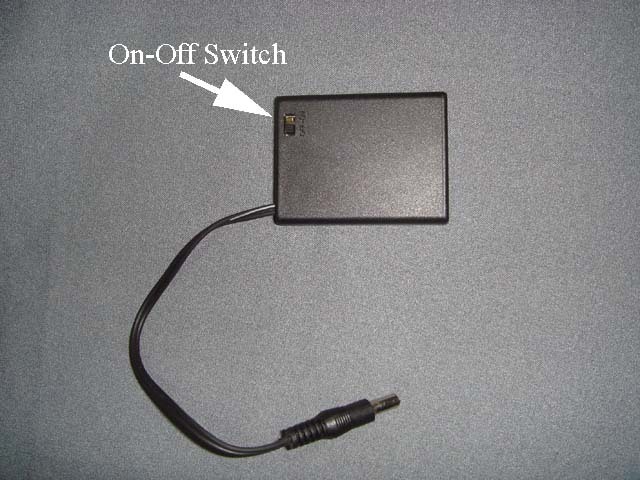 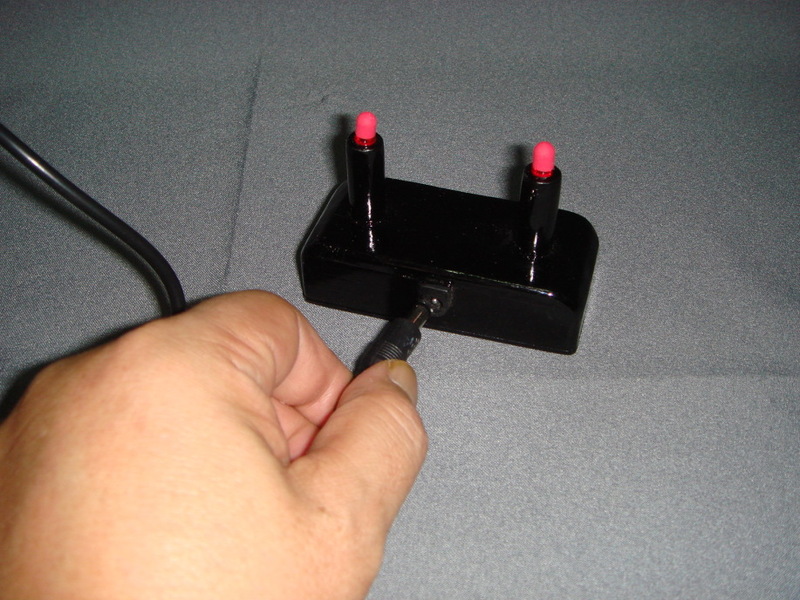 LED is High brightness, we covered rubber cap, if you need lighter, take off rubber cap. Back view Just push into eyes. 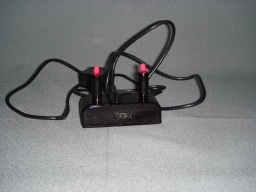 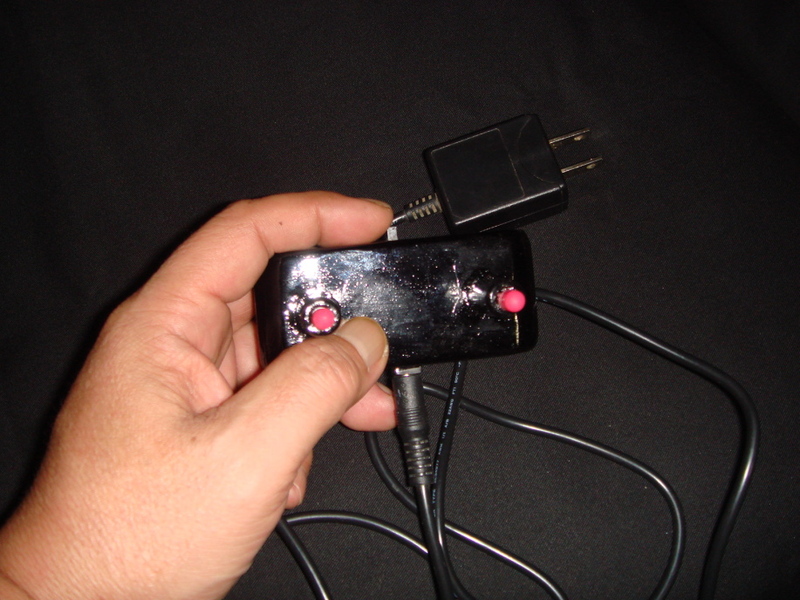 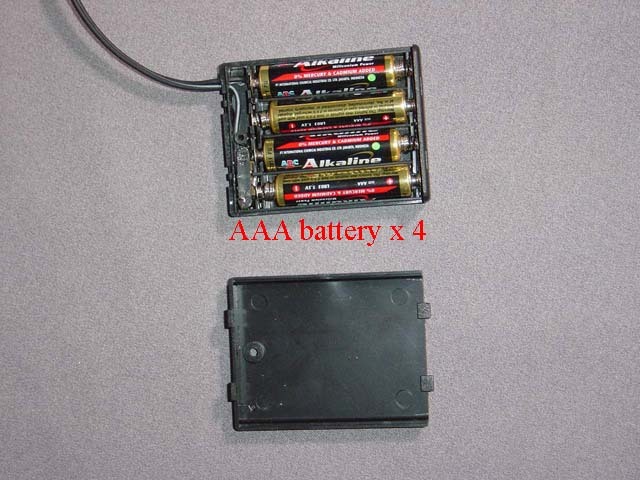 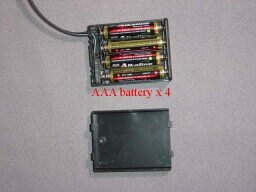 Battery type is also available.